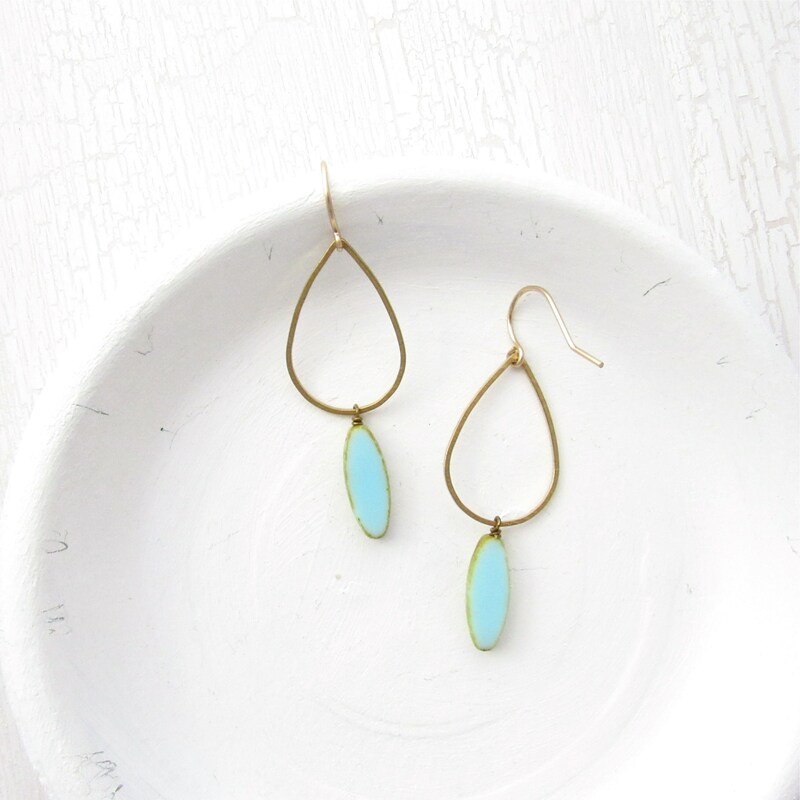 - Opaque, light-blue glass beads hang from delicate brass teardrops. 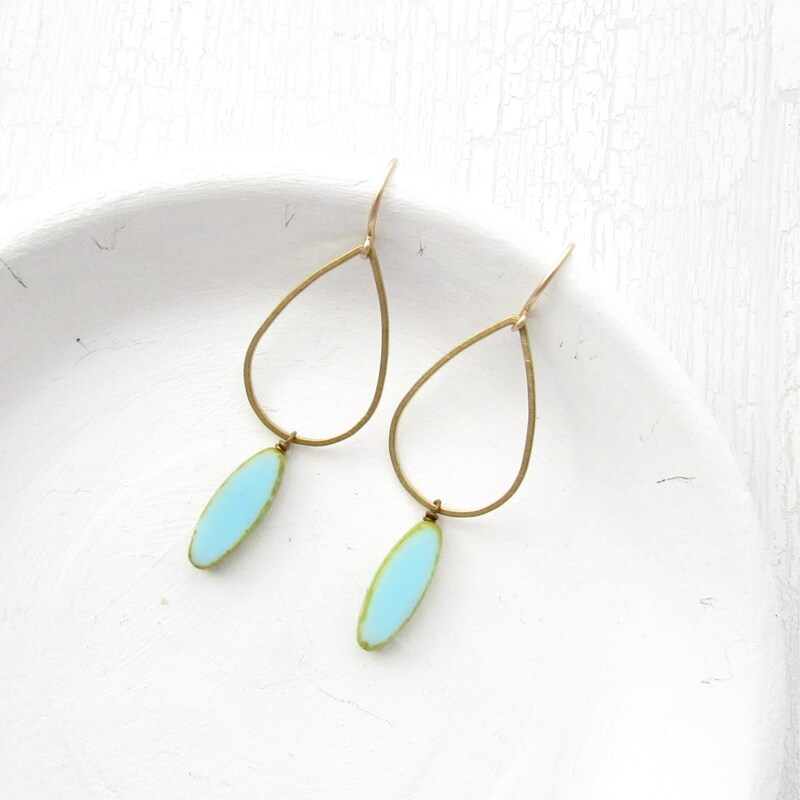 - This design hangs from handcrafted, 14k gold-filled earwires. 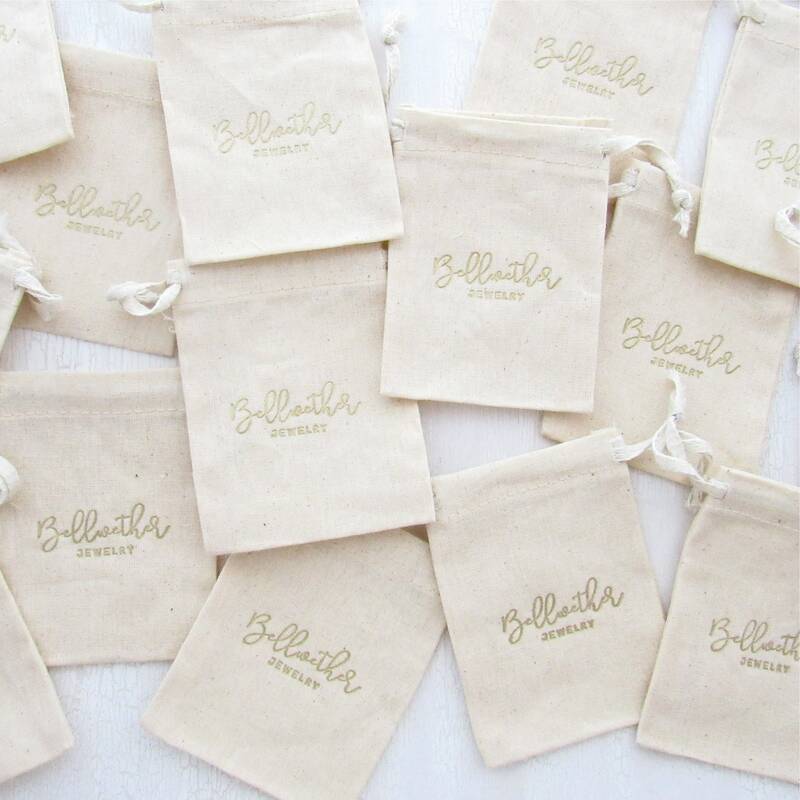 - All items arrive ready to gift in our signature gold-foil and cotton pouch. - A personalized note can be included with any item, please include your desired wording during your purchase. - Please consult our store policies before making a purchase. Note: Designs containing raw brass are subject to a natural tarnishing over time. Factors such as excessive moisture and oils can cause the metal to react. 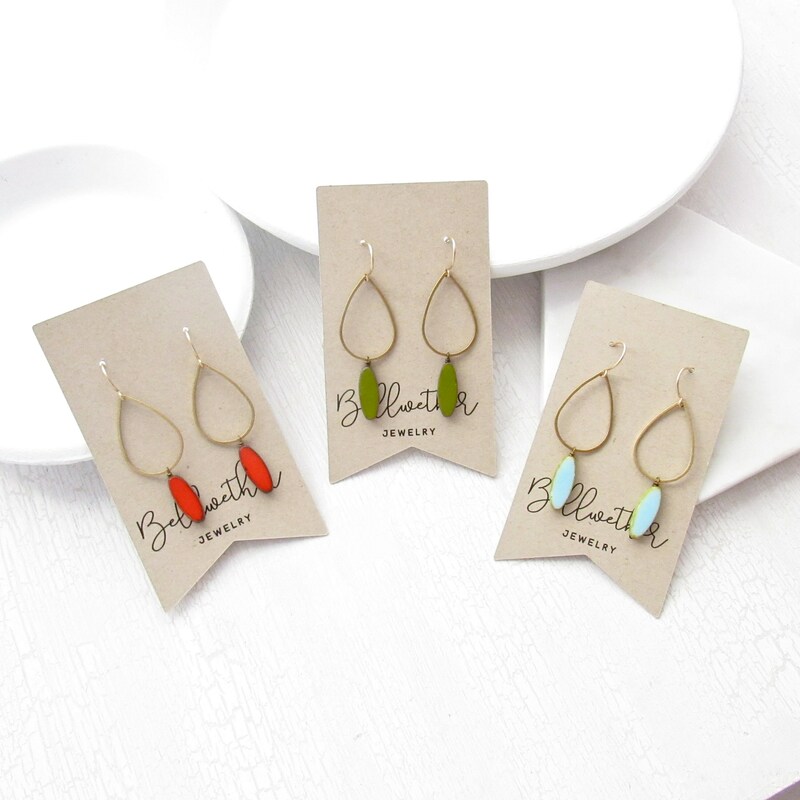 Storing your earrings in the included cotton pouch is the best way to keep them looking great. Note: Due to the handmade nature of this item, slight variations in the item you receive from the photos in the description may occur. 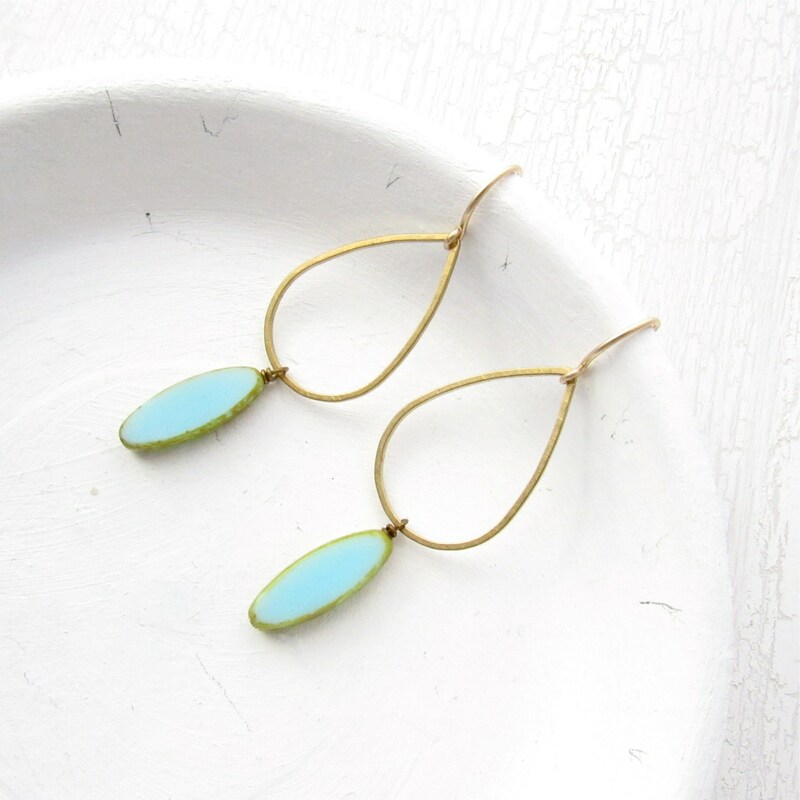 I bought the turquoise set for my sister-in-law and the green set for myself as 'sister' earrings. 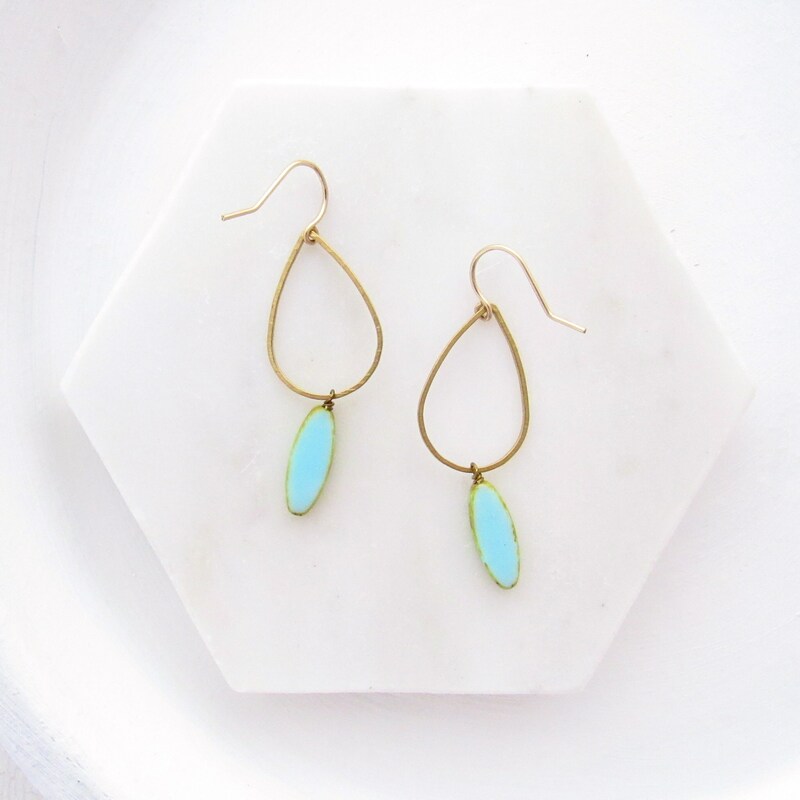 She likes more delicate earrings and I like more of a statement. 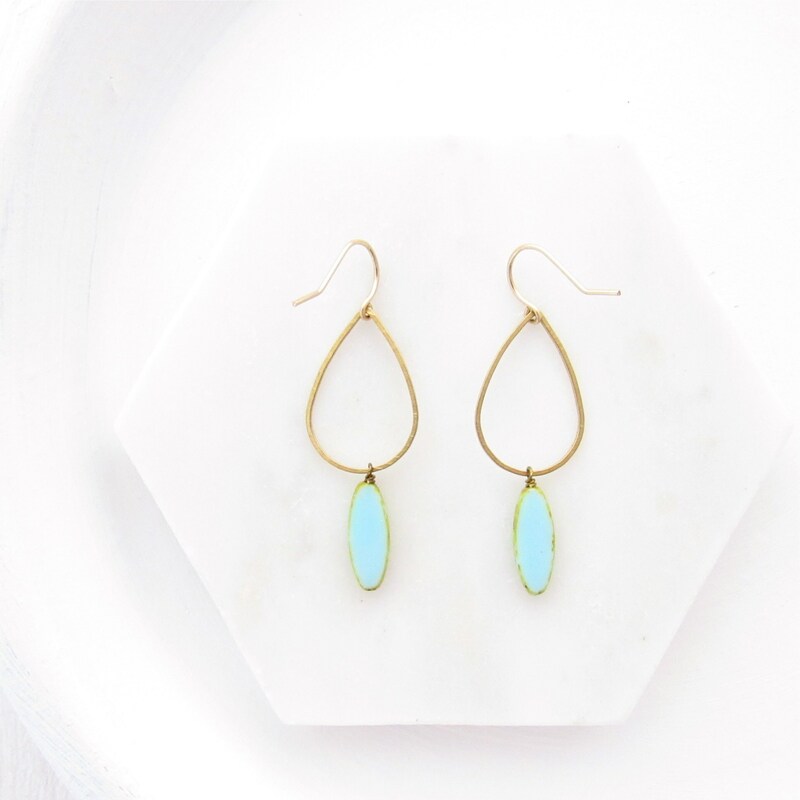 These earrings suit both our styles perfectly. Love them. These are so lightweight and comfortable, perfect for wearing all day. 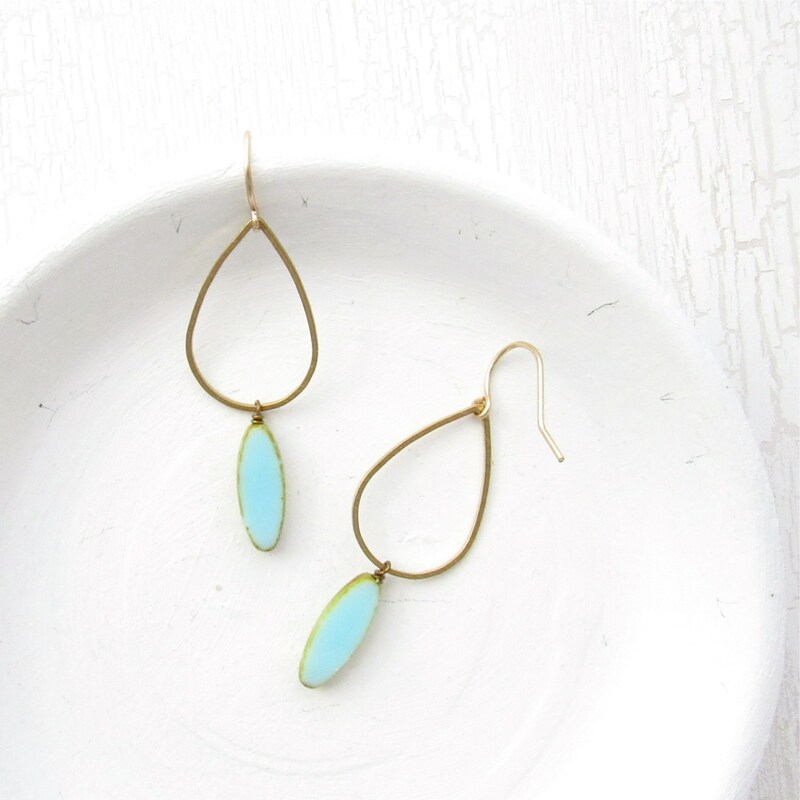 The bright blue glass really pops! Love, love, love! Shipping was so fast too. Beautiful... I have a few pairs from this artist and the quality is lovely. I get soooo many compliments every time I wear these earrings!